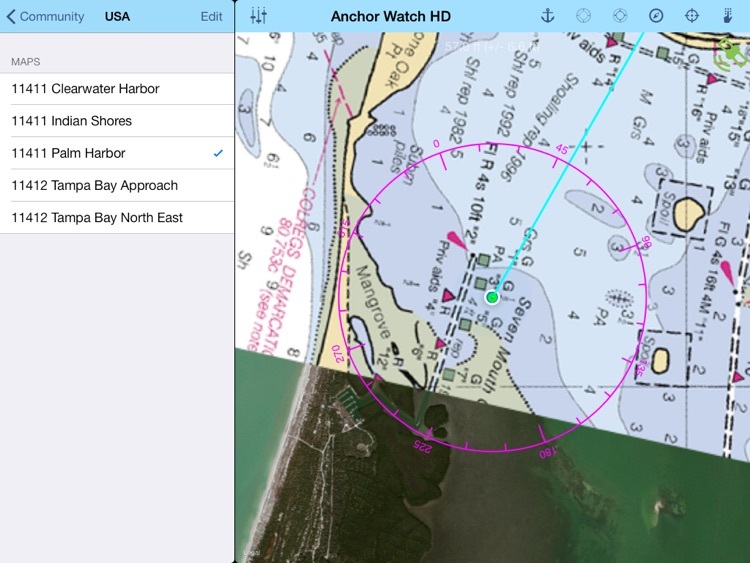 Yachting Magazine: "The best dollar you've ever spent"
"Anchor Watch" uses the GPS on your iPad to monitor your boat's position. 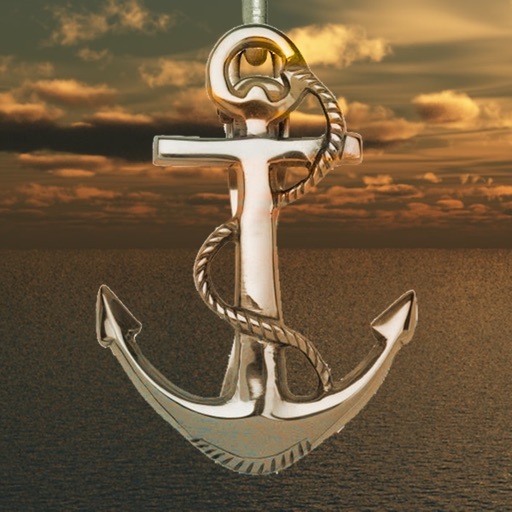 If the boat moves outside of set limits, the program will alert you immediately. 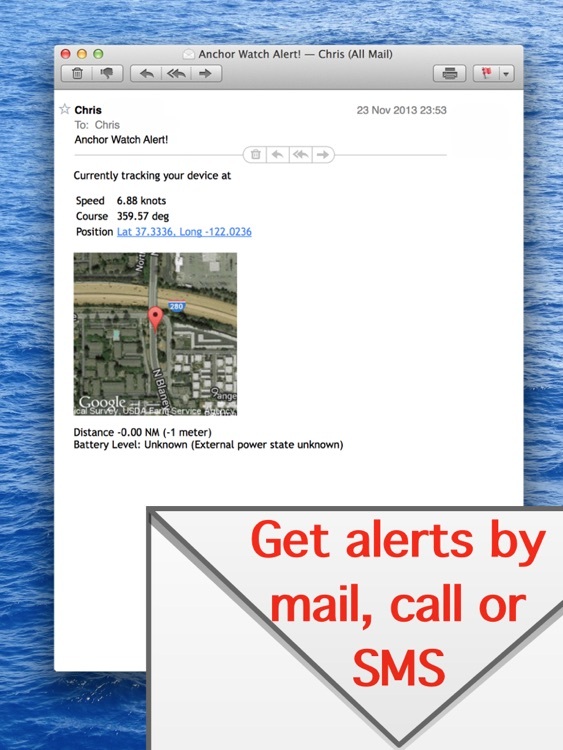 Alerts include phone calls (only in foreground), sound, vibration alerts, popups or email. 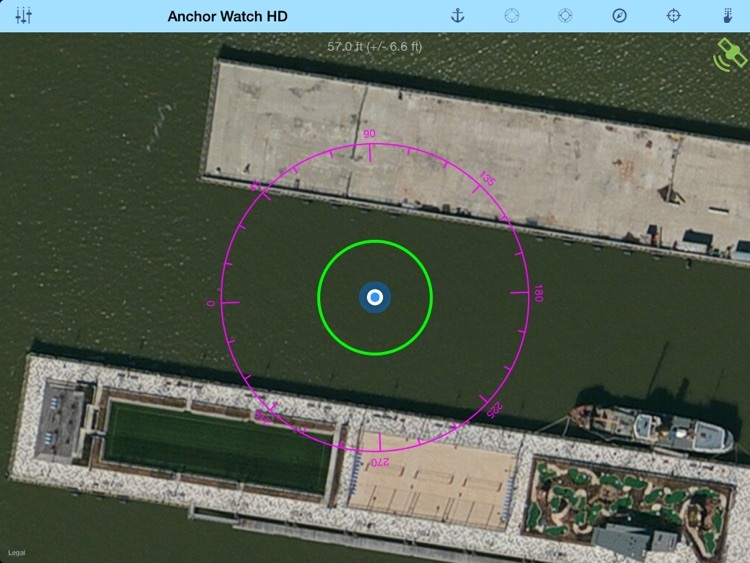 If the boat drags out of the predefined area (no limit on radius), it will alert you in any way you decide. Flashing text, sounding alarm, mail or even SMS to a phone. 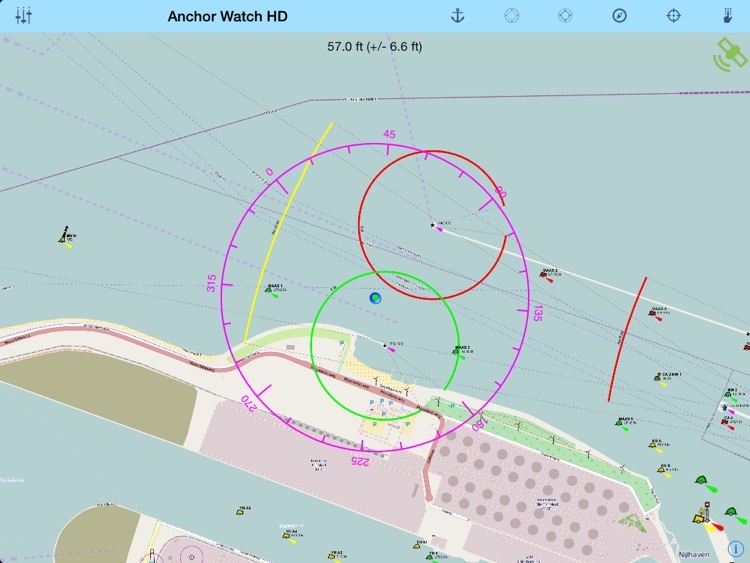 As only anchor guard app for iOS, Anchor Watch allows for the manual adjustment of your anchor position, by touch, bearing/distance or lat/long entry. 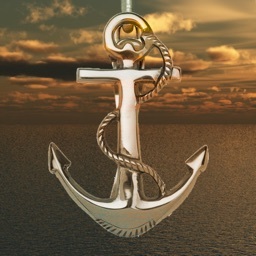 So if you were busy with other things then setting the alarm, you can adjust for the drift. 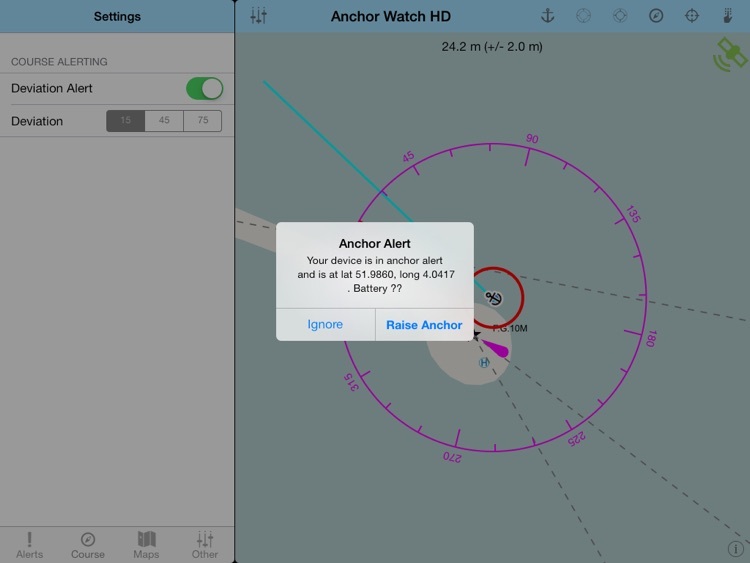 Of course it runs in the background too, which allows you to pursue other activities on your phone while Anchor Watch is on guard. Continued use of GPS running in the background can dramatically decrease battery life. Available as an in-app purchase is the functionality to download and show offline maps which you can use when you don't have a data connection (or don't want to use it due to roaming charges. 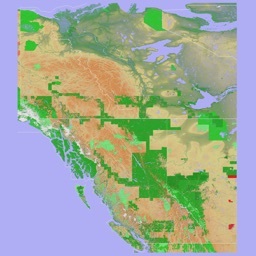 Or live nautical maps when you do. 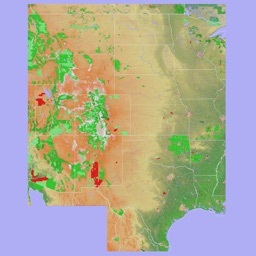 The maps available are based on the http://www.openseamap.org data. Check for quality and availability on their website, it is under rapid community development. 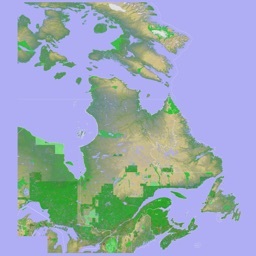 You can also send in your maps and they will be added to the server for the benefit of all.